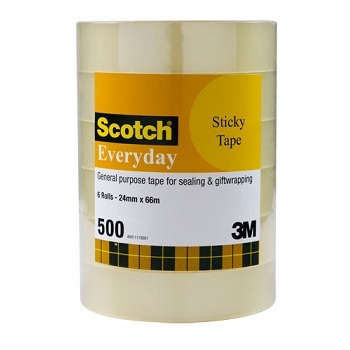 Brand leading economical sticky tape takes care of all the everyday home, office or school adhesive jobs. Good quality, general purpose adhesive stationery tape. 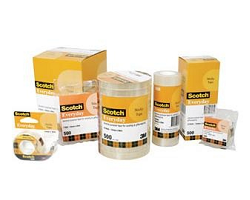 Clear, glossy tape dispenses easily from the roll - Acid free, will not yellow with age. Great for use at work. Comes in a variety of sizes to suit all needs. Shrink wrapped in bulk tower packs for your convenience. 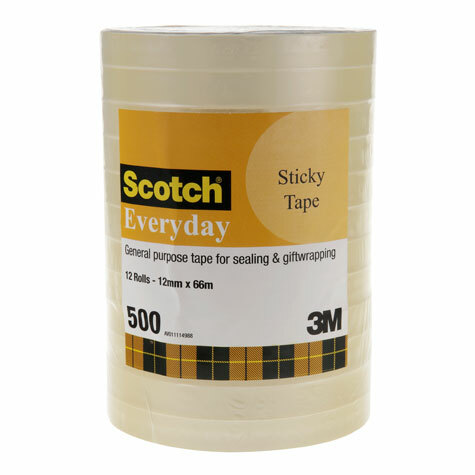 Scotch® Everyday Sticky tape takes care of the everyday office jobs. Clear, glossy tape dispenses easily from the roll. Most popular size - Ideal for small desk dispensers.